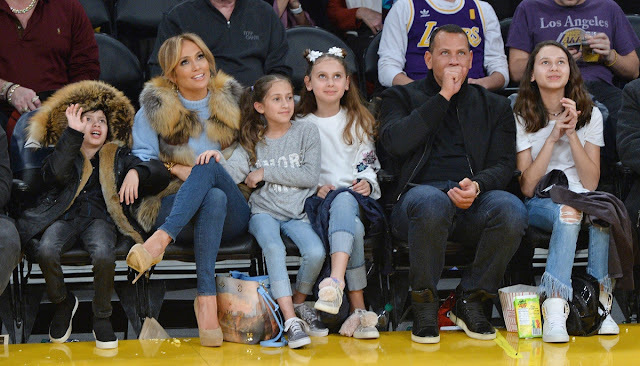 Jennifer Lopez’s twins Max and Emme, 10, are really close to Alex Rodriguez’s daughters Natasha, 13 and Ella, 10. The On the Floor singer and the Major League Baseball legend started dating in February 2017. They both had children from their previous marriages. In an interview with American breakfast radio show Cubby and Carolina in the Morning, Jennifer admitted that her twins and Alex’s daughters form one, big, happy family and it could not be any better. She called all four of them amazingly special kids as they are all sweet, loving and most of all, understanding as they deal with their lifestyle in such a great way. The American singer also hinted on her past relationships in the interview that hadn’t worked out so well, which might have included her on-off relationship with her former backup dancer, Casper Smart. This was not all what the interview was about. Of course, her relationship with Alex was discussed as well. She gave time the credits for their relationship by saying that if they had met earlier in their lives, then they really would not have been together. It seems as though they are getting on really well. Just recently, the singer wrote the sweetest message ever for Alex on his birthday. She posted a slideshow of their pictures and videos and called him a superstar, a visionary, and a force of nature. Not only that, but she made his birthday extra special by throwing him a party, inviting his friends and family.